From Calgary Alberta’s Big Rock Brewery comes their new Limited Release the “Dark Cherry Abbey Ale” a Belgian Abby Style Ale. The beer pours a deep brown colour with a brown head. The aroma consists of cherry, plumb, chocolate, roasted malts and sweetness. The flavor is of chocolate, banana, bubbble gum, plum, cherry, roasted malts and an overall sweetness. The alcohol content comes in at 9.5%. This kind of beer is not for everyone but I think this is one of the better winter style beers. I would drink it again for sure. 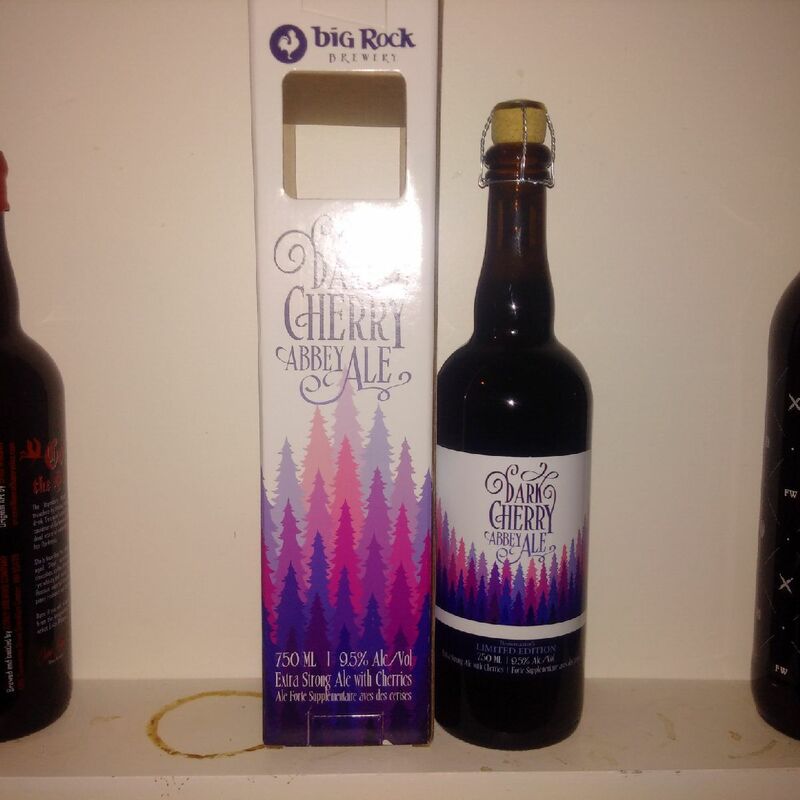 Commercial Description: Dark sweet cherries are blended with a strong Belgian ale in this special edition winter offering from Big Rock. 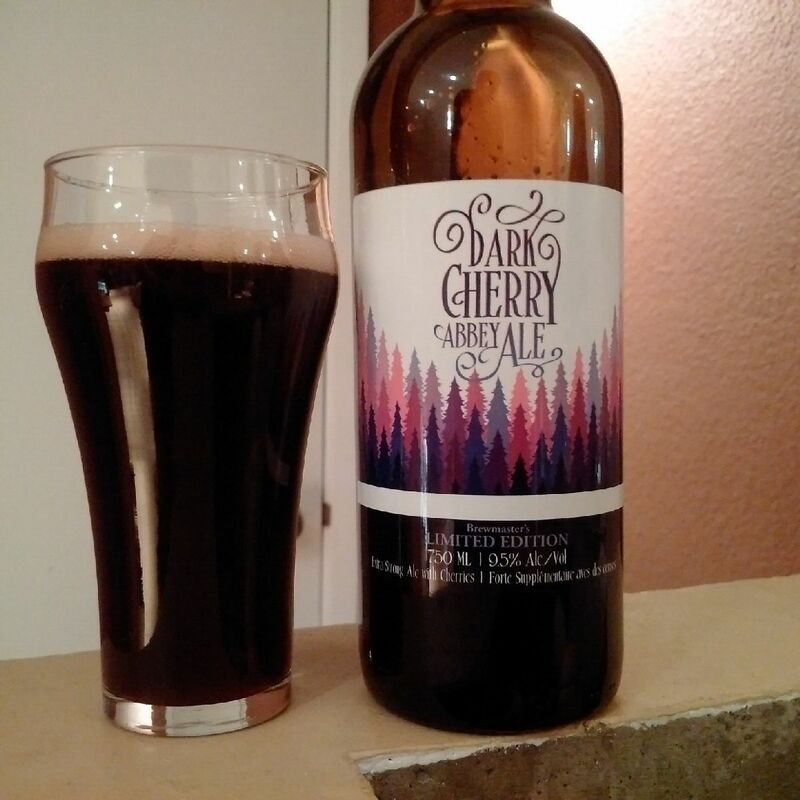 Here’s an ale whose aromas will warm you even before the first sip; dark and chocolate malts, Belgian candi sugar, coriander, orange peel …and all those cherries. Our Brewmaster takes one of his favourite beer styles and elevates it to the next level. Share this limited time offering with friends or enjoy it on your own wintery retreat. This entry was posted in Belgian Strong Dark Ale and tagged alberta, banana, belgian dark strong ale, big rock brewery, bubble gum, calgary, cherry, chocolate, craft beer, plumb, roasted malt, roasted malts, roasty.